Nouveau site de la Maison des Bateleurs ! Site Web de la Maison des Bateleurs! Autour de "La Maison des Bateleurs"
A voluntary service is an act of mutual exchange between a person or a group who offer time, work and energy to a general interest project in a host community who in return offer the volunteers an opportunity to learn, to experiment and to achieve personal and collective construction. A workcamp for young international volunteers gathers together 10 to 15 people from different nationalities. Together you will organise your everyday life according to the local possibilities and to the goals set to achieve. The work is open to everyone and it doesn't require any specific skills or expertise. For the project to go go smoothly from the beginning to the end, the participants will need to be motivated and reliable. The time devoted to work is about 30 hours a week. During the workcamp we promote exchange, encounter and the achievement of a useful action which is part of a local project. 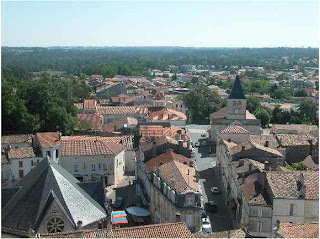 The town of Montendre, where you can find the hosting centre and the base of the association, knows and works during the whole year together with Solidarités Jeunesses Poitou-Charentes. Montendre already welcomed several international workcamps. Volunteers will have to respect hygiene standards for cleaning and cooking, and help with stock and financial managment. Volunteers also have to keep in mind that we host some group with young people with fewer opportunities and some international workcamp in hour centre. We offer participation in workshops with the groups, supervision of creative activities, maintenance of the garden as well as participation in several international projects on the site of La Maison des Bateleurs and the region Poitou-Charentes. A little training will be provided upon arrival of the volunteers so they understand the procedures and logistics, but also so they understand the context of the association and its values. There will be about 5 volunteers in the team and one or two coordinators who will organize with you the daily life. Your team will manage a budget for shopping, and everybody is going to prepare meal. Don’t forget to bring recipes from your country ! The common languages on the work-camp are frequently English and French. The team will organize their leisure with the volunteers of the association and the local population. In the Charente-Maritime is a nice environment and a historical and culinary heritage to discover. There is no car on our workcamps. You are going to do activities with the inhabitants of the village and you can coordinate the evenings together. Community rooms will be at your disposal (sleeping, cooking, meals, washroom). It is situated on your working place. Don’t forget your sleeping bag. Solidarités Jeunesses insures you in civil responsibility and in accidents, but it’s up to you to have an insurance for illness. Citizens of the EU have to bring the European insurance card, and others are obliged to have their own insurance for illness. Think about being on time with vaccinations. motorway A10 in direction of Bordeaux. Get off in Poitiers, follow direction of Bordeaux on N10, get off in “Montlieu/Montendre”, follow direction of Montendre. The train station is at the beginning of the village. 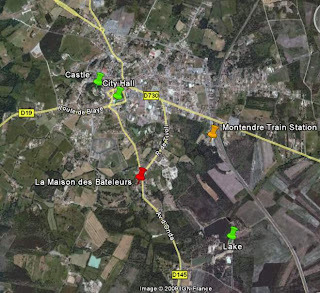 take N10 in direction of Angoulême/Poitiers, get of at “Montlieu/Montendre”. Follow direction of Montendre. The station is at the beginning of the village. Montendre is a rural town with about 3200 inhabitants in a agricultural region, about 70 km north from Bordeaux and 80 km away from the Atlantic Ocean (Western France). SOLIDARITES JEUNESSES is a voluntary service organization, the French branch of the international movement Youth Action for Peace (YAP). 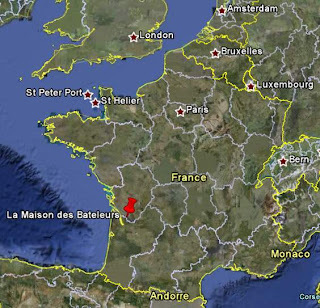 Founded in 1923, after the first World War, by French and German protestants. YAP was from its origins a movement of secular people who were convinced of the necessity to go beyond the national, sectarian and cultural borders to work for peace. Thanks to a network of local associations, Solidarités Jeunesses developed an action towards and with young people. Workcamps are places for multicultural and inter-generational exchanges and active solidarity. Member of the movement SOLIDARITES JEUNESSES, Solidarités Jeunesses Poitou-Charentes organizes about fifteen international workcamps in the region during the summer season along with other international and local development activities during the whole year. The “Maison des Bateleurs” is a hosting centre that co-ordinates the workcamps and it has been working in the village of Montendre for 14 years. !! Come and join us ! !